I will never stop believing in you! I so love this mermaid from the Magical Mermaid set. 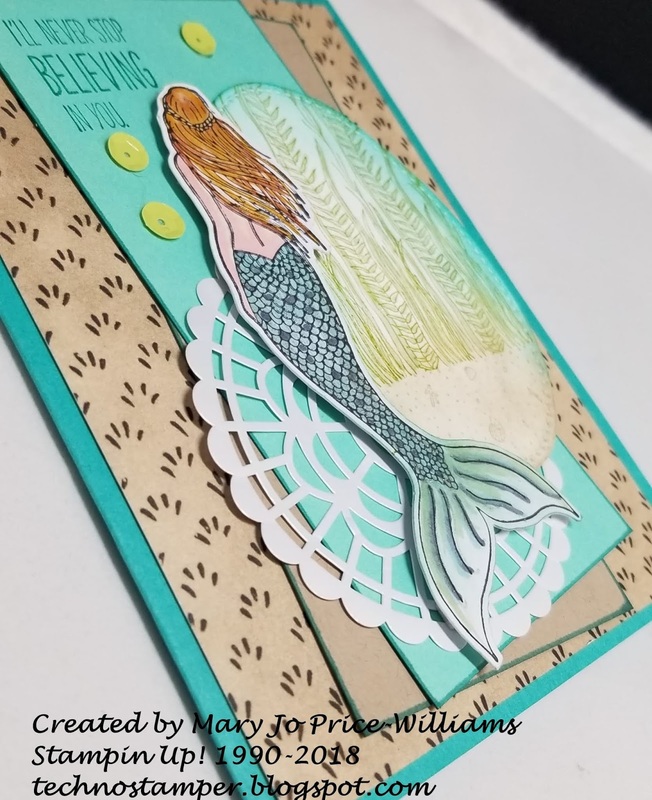 And this is a perfect card for one of the girls on my shop club team! She is rocking it and doing an amazing job. And I hear she loves mermaids so there is that too! These are the most relaxing colors to me--so beachy. Don't you agree. 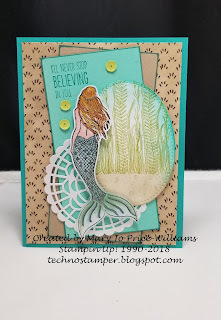 And you probably can not see it on any of the pictures but there is some amazing sparkle on this card between the pearlized doily and the wink of stella! Love sparkle. Can never go wrong with sparkle--in my book. I honestly need to order some new current designer papers as this is the only pack I have current at the moment! What the What??? Seems crazy don't it. I usually have them all but my studio is much smaller than it used to be and I am struggling to figure out what to do with everything---but I NEED more designer paper, lol. So many great ones in the catalog--especially the new holiday catalog!